There is a distinct feel of fall in the air around here this week. And I am more than ready for fall fashions. This week, let's talk a little bit about scarves. 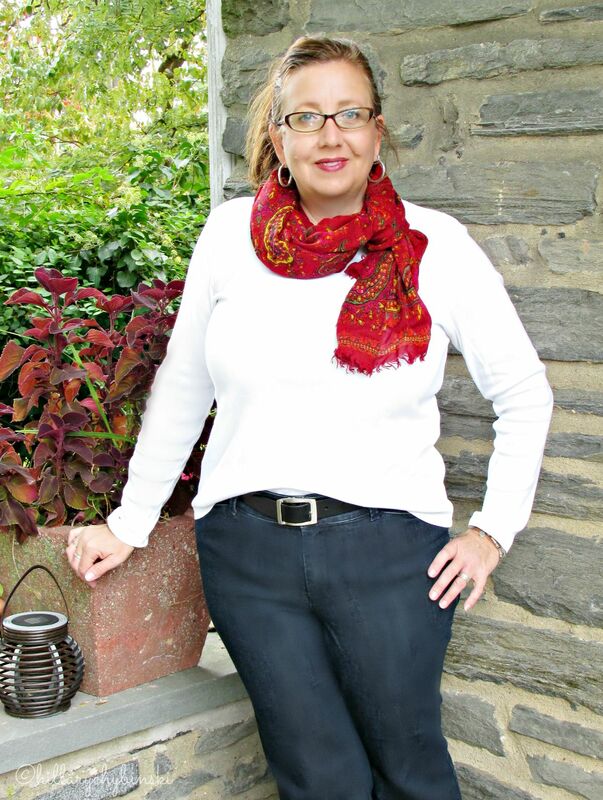 Scarves have been in style for years, in one form or another. They can make a big impact on your fall style, and you probably have a stack of them in your closet already. So there are several different kinds of scarves, but blanket, infinity and long, seem to be getting the most press lately. 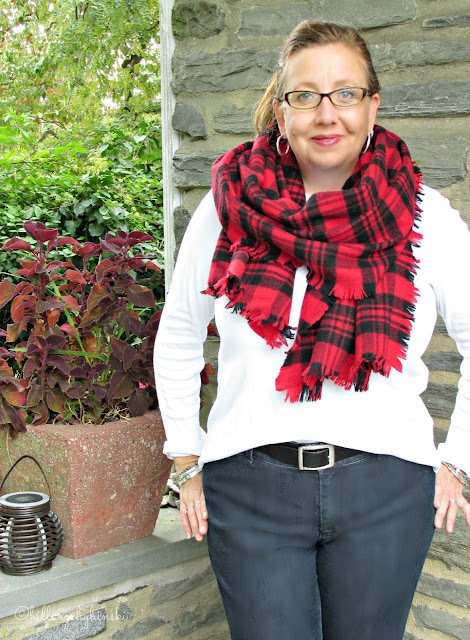 Let's take a look at some scarf styles I have in my closet, and how they may apply to your own fall wardrobe. For consistency, I styled them all with a simple pair of dark denim boot cut jeans and a white long-sleeved t-shirt. 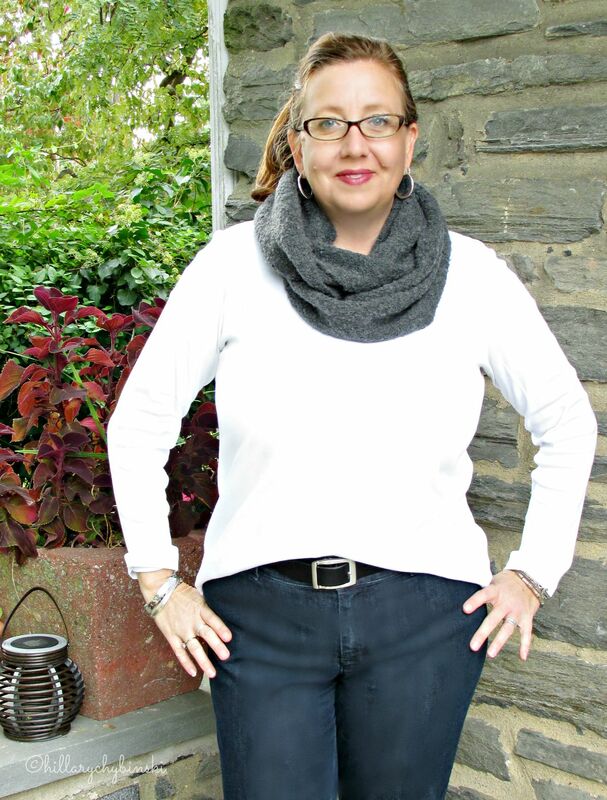 Next, my personal favorite, the infinity scarf. 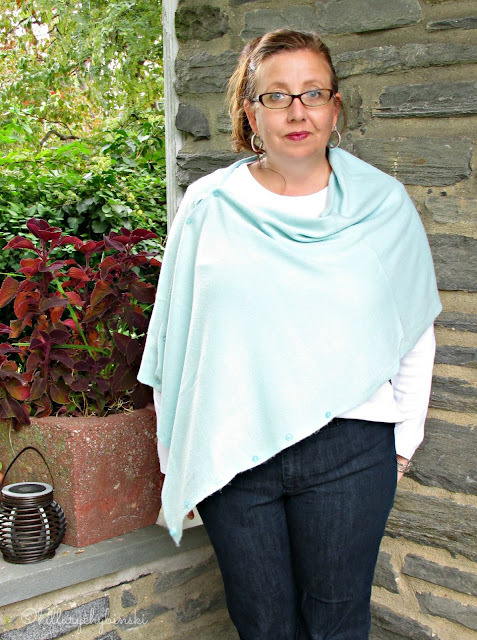 This scarf is effortless to wear. It doesn't fall off, it naturally lays correctly and looks great on just about everyone. 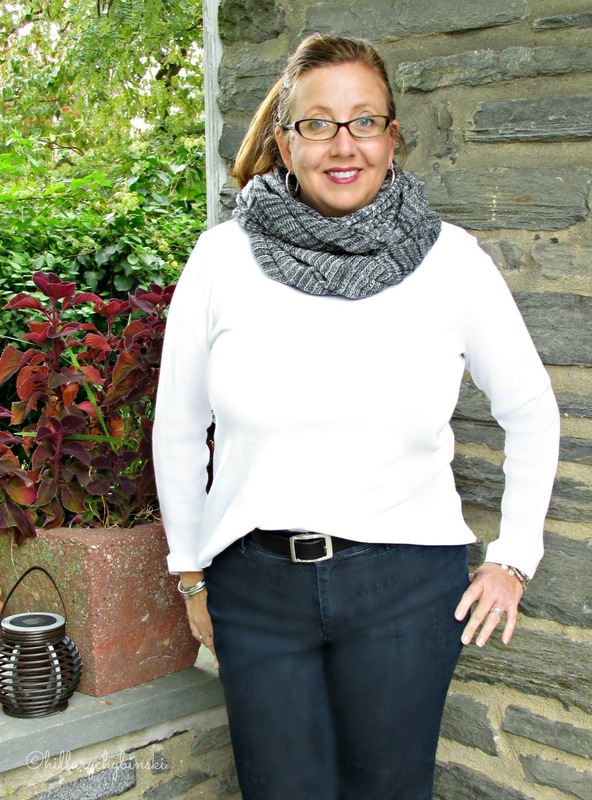 I just received a new one from Aventura Clothing (I'm an Ambassador) called the Bergamo Infinity Scarf. I also picked up a great one when I worked with J Jill last year. So there you have a ton of ideas for styling your scarves this fall. Don't have a scarf? It's a great inexpensive way to add a pop of color. 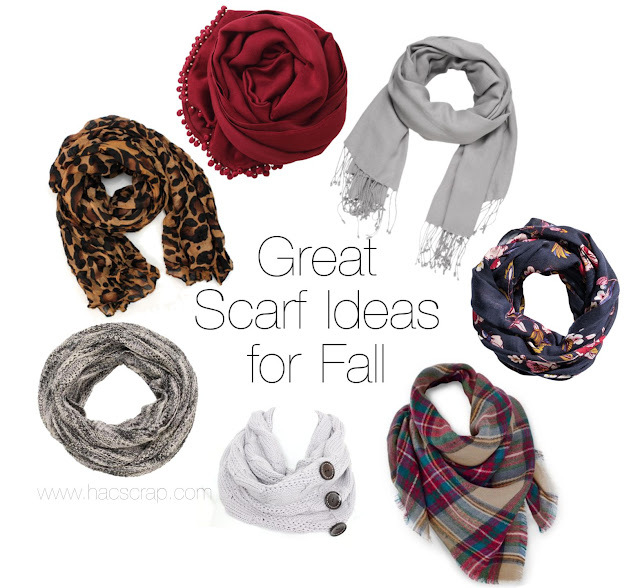 What's your favorite way to rock a scarf? This post is linked up at Jo-Lynne Shane. Be sure to check it out for even more outfit ideas and inspiration. I love all of these, especially the plaid one and the last one you featured. Love the jeans you are wearing too! You look so great in scarves!! I think I like the Bergamo scarf the best, but I love that plaid is back in a big way. It's always a fall necessity. Awe thanks! That scarf is really great - it's close-fitting but it's light-weight so it shouldn't make you too warm. =) Comes in three colors I believe. Thank you for this! 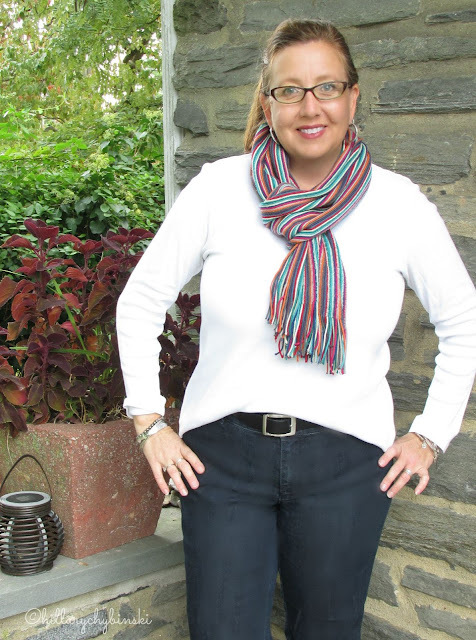 I always am looking for ways to tie scarves and they never turn out. Love the over the shoulder one! I LOVE scarves too!!! You really pop in the Bergamo Infinity Scarf. 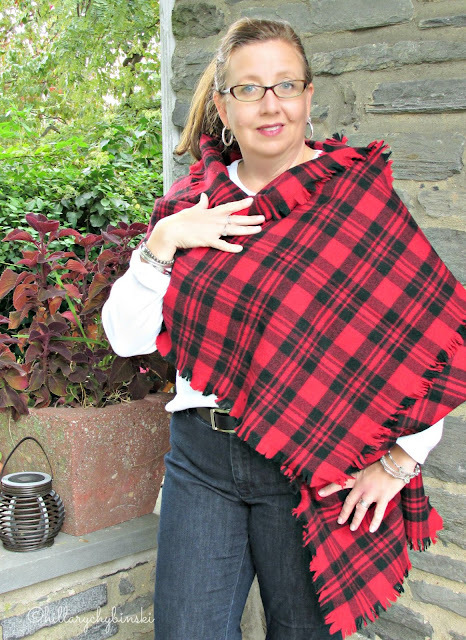 That fringy plaid one rocks!